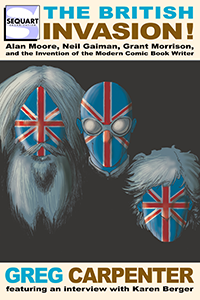 Neil Gaiman, like Alan Moore, is someone working in comics who seems to need no introduction. Their influence and impact is so pervasive that they’ve practically become a household name. But there’s a danger to the hype that results in a kind of stereotyping of their work and career that leaves little room for the changes they’ve made along the way to their styles and subject matter. When an author becomes known most widely for a single work, the rest are interpreted in the light of that work, a perspective that may skew both where they have come from, and to some extent, where they are going. That’s not to say that works like Watchmen and Sandman should be left out of the account of their prolific writing careers; that would be a disservice, but any Gaiman fan who reads only Sandman is missing out on a universe of interesting comics and prose that they would, most likely, find equally appealing. Each work should be taken on its own terms, and examined in the context that produced it. Black Orchid is one of those works. Of Gaiman’s earlier works, it is comparatively well known since it was published by a major comics company, DC, and has never been out of print since its original printing in 1988 and 1989. Black Orchid’s position in Gaiman’s career is seminal from a historian’s perspective, and from a literary standpoint, it’s a gold mine of material that shaped the future of Vertigo and reveals a great deal of Gaiman’s developing concerns in his work. It also stands as a major collaboration with the comics art giant Dave McKean, whose recurring work on many Gaiman books set the tone for reader expectations for years to come. Gaiman’s career in comics, preceded by an early stint in journalism, can be traced back to 1986 in Future Shocks, and with the publication of the Gaiman/McKean work Violent Cases, the pace picks up in his production. His work for DC comprised several single Batman related stories in 1989, but Black Orchid was his first serialized project for DC, later absorbed into the foundation of DC’s Vertigo line. Black Orchid springs from Gaiman’s demonstrable interest in the universe suggested by Alan Moore’s retooling of Swamp Thing, and in particular, the pattern of reviving relatively minor characters in the DC Universe to great effect. The slant of Moore’s work on Swamp Thing may have helped evoke and construct a mythology for the DC Universe that brought the forces of nature into alignment with supernatural concerns, but this underlying intention is much more pronounced in Gaiman’s Black Orchid. Gaiman establishes a pattern in Black Orchid of harmonizing, explaining, and constructing a holistic DC Universe along mythological lines, and the impact of that approach can still be seen in the DCU today. If the DCU had incorporated these suggestions more fully, however, readers would find it a richer place to explore. Pondering what might have been is one of the fascinating aspects of a close reading of Black Orchid. Any fan of Gaiman’s work, whether they find Black Orchid appealing or not, would benefit from reading Gaiman’s previously unpublished essay, “Notes Toward a Vegetable Theology”, submitted to Karen Berger and Rick Veitch in 1989 (now available in Prince of Stories). It’s a rare glimpse of total world-building underway, and a remarkably coherent and evocative interpretation of the underpinnings of the DCU. Here you can see a dozen alluring blind alleys and unexplored avenues that could easily have been taken up by later comics writers and artists given the chance, but rather than musing on what might have been, you can also read it as a guiding coda for Black Orchid. It’s like being given the key to the universe a particular comic inhabits. It’s meta-data on a high level and transforms the reading experience into something perhaps analogous to a video gaming experience. It reminds you that there’s a great deal going on in Black Orchid off panel and allows you to construct those realities imaginatively. Black Orchid’s original incarnation for DC, first appearing in 1973 and following in Adventure Comics #429-430, displayed many of the key features necessary for a successful resurrection, but it took a particularly curious and committed mind to make that happen. She’s a character who’s more about suggestion than definitive identity, with no origin story presented in her run as a semi-major, and later as a minor, character. She’s a chameleon-like undercover figure, possessing flight and some super powers, but her visual aesthetic, combined with her mysterious aspects create just as much of the appeal. In a DCU, where female heroes are few and far between (especially then), she does stand out as a worthy cause to revisit, but could just as easily have remained in greater and greater obscurity. Gaiman and McKean, already having produced Violent Cases together, were operating as a pitching team when they met with some DC talent scouts in the UK, handing over an “outline” for Black Orchid, as well as “a number of paintings,” but with no clear idea if it would catch anyone’s interest at DC (Gaiman qtd. in Prince of Stories, 173). Once accepted, it gave both Gaiman and McKean a chance to show their particular vision for the potential of comics. McKean, particularly, had a specific vision for the ways in which comics could expand artistically, and through his incredibly detail-oriented combination of painting, photography, and sculpture in Black Orchid and later works, he has challenged and changed the visual landscape of comics. Black Orchid is a densely-composed work, all the more remarkable for the fact that the reader isn’t fully aware of the density as it appears on the page. In fact, much of the density results from reader interaction on the imaginative level. The work appears graceful and isn’t overloaded with text and explanation, but it suggests far more than it states openly. McKean moves from a middle ground of 6 panel grids per page, elongated, creating its own sense of vertical horizons, to more atmospheric full-page spreads with floating frames, and occasionally into rapidly-paced pages consisting of as many as 12 panels. Interestingly, these more panel-packed pages are reserved for flashbacks into the human life of the titular character, while the more open spreads are typical of plant-based perception. The elongated frames and the movement in and out of organized grids are a features readers might recognize from Violent Cases, suggesting lessons learned by McKean in visual storytelling from this groundbreaking work. This careful balance between showing and telling the story to the reader is also a feature of Gaiman’s work, and it sets up a trend still visible in more recent projects, a minimalism in storytelling that nevertheless creates the density mentioned above. The power of suggestion, already a feature of strong comics storytelling, is maximized in Black Orchid, just as it was in the character’s earliest appearances. While there are myriad topics worthy of discussion when considering Black Orchid, three that really set the stage for Gaiman’s work as a whole are holistic universe-building, the tension between passivity and violence, and lastly, the relationship between spectacle and the observing perspective. These features all have a role to play in Black Orchid and form a connective tissue with Gaiman’s earlier and later works. It’s even likely that tracing the development and expansion of these themes is essential to fully understanding an expansive work like Sandman. Gaiman’s works are always carefully constructed so that they can function individually without prior reader knowledge or experience, perhaps even sympathetically geared to the new arrival, but that doesn’t mean that discovering the relationships between his works isn’t an added bonus, and one which can transform one’s reading experience. The universe-building apparent in “Notes Towards a Vegetable Theology”, for instance, creates a broader understanding of character in Black Orchid. While the character of Black Orchid possesses three incarnations in the comic, Susan Linden, Susan the second, and Suzy, what is the significance of multiple versions of the character and how can they, in a sense, possess unity? Gaiman explains in “Notes” that the “May Queens” of this universe are a “third arm” of “three ancient earth powers”, standing alongside “Erl-Kings”, like Swamp Thing, but not possessing their power of immortality (Gaiman qtd. in Prince of Stories, 191). Rather than regenerate like an Erl-King, a May Queen needs a “dead human consciousness to start from” and then can proceed in new iterations of that personality. Calling them clones may be too restrictive, since they partake of an expanded consciousness as well as deriving from the template of a human consciousness. They can be many while being similar, but not the same, as their other iterations. Their function is explained as “a symbol of growth in the dark times”, and they are “Always flowers, always beautiful” (Gaiman qtd. in Prince of Stories, 191). What does it mean that these Black Orchids have mainly a “symbolic” role? To take that cue as a diminution of their role is probably a mistake. In world-building, symbols are very powerful things, and convey some of the deepest truths of a universe’s configuration. Rather, their symbolic value means that they directly represent, in carnal (here carnal-vegetable) form the earth-mother, Gaea, also described in “Notes”. While Gaea fashions guardians and protectors of various varieties, these Black Orchid May Queens are not part of that particular role. Instead, they are a more direct reflex of her nature in physical form. This means they are, fundamentally, non violent, and their particular role is more of a demonstration of relationship. They are a gift to humanity, in a sense, a gift of presence and a demonstration of universal principles. This non-violent capacity forms an interesting counter-balance to the fact that Susan Linden, faces a violent death before her personality is taken over by the May Queen principle. Growing up in an abusive home, and eventually killed by her gangster ex-husband, Susan’s experience with violence makes her a prime candidate for an anti-violent role. It’s significant to point out that Susan’s DNA is used for the development of a May Queen through the role of science, however, not some purely natural generation at the hands of the universe. Rather than taking away from the mother-earth role, these circumstances suggest something even more astonishing: that Gaea can operate through science and technology, and make her presence on earth felt via any method she desires. But the violent associations of Black Orchid continue to stand at odds with a non-violent nature, as Susan’s Black Orchid incarnation, too, is both shot and set on fire, meeting a violent end. Why is it that a non-violent being is so routinely placed at the center of violence? It’s a paradox that seems like an operative factor in the story. It’s obvious that Black Orchid’s role is not simply to avoid violence, but rather to address it, directly. It’s not a question of passivity, letting violence run amok and steering clear, but rather a question of impassivity, refusing to back down in the face of violence. Because the Orchids can have several iterations, this challenges the idea of death without reducing the impact of suffering. Violence still has real consequences for the various versions of Susan, but it does not triumph over the resistance the Orchids pose. This leaves the role of spectacle, and the perception of the observer in Black Orchid, a feature that ties the work to Gaiman’s other projects. In Violent Cases, Gaiman and McKean set up the identifying perspective of a narrator, both in childhood and adulthood, for a reader to “follow” through his memories. What he perceives is spectacular, and full of mystery, sometimes terrifying, but uniquely enlightening. In Black Orchid, two types of spectacle seem to operate, the spectacle of violence, and the spectacle of the semi-human Orchids. The reader is introduced to these spectacles through the narrator, Susan’s childhood friend Dr. Phillip Sylvian. He is the human observer of remarkable things, and an insider in Susan’s conception as an Orchid. He has also observed Susan’s human life, and is familiar with the violence she has encountered, as well as a figure who reacts and sympathizes with her suffering and versions of her death. An observed subject, like the Orchids, could react with resistance to observation, and this is partly the case in their protective flight instincts, particularly in protecting the youngest Orchid, Suzy. But for non-hostile observer, the spectacle of these creatures is a compelling feature, and McKean has a great deal to do with that appeal. He suggests difference in their perception of time, their fluidity of movement, and in their thought processes through the painted, atmospheric panels he creates. From their floating hair to their facial expressions they suggest a tranquillity and harmony with the forces of creation that trump human perception and create fascination for other characters as well as the reader. They are resistant spectacles, with their own developed psychology and agency, when placed in danger, but for the narrator, who is an insider, they are less resistant and more engaging, opening a doorway on insider status for the reader. 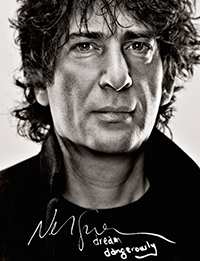 To make sure that the reader is included in the spectacle, however briefly, seems to be one of the goals of many of Gaiman’s works. It’s a golden ticket for the reader, a generous inclusion that often brings with it a sense of sublime experience. When readers encounter something beyond normal human experience, particularly when so masterfully evoked by Dave McKean’s artwork, their response is bound to be wonder, and hopefully, a sense of picking up on some underlying, but often overlooked, truths about human experience. The world of Black Orchid is both intricate and vast, a rare accomplishment, particularly in such a short series. It conveys a wealth of possibilities about its own internal universe and also about human perceptions of more than human subject matter. Such a basic discussion can’t explain the appeal of the total package of the comic, but hopefully it provides hints that the implications behind the comic are expansive and compelling. Black Orchid’s place in Neil Gaiman’s, as well as Dave McKean’s, career made it a natural turning point for them toward even greater things, but if they hadn’t been willing to take such significant risks in terms of subject matter and visual form, who knows if they would have continued to go from strength to strength? Black Orchid has the feel of a comic in which the creators gave their all, determined to present a story that demonstrated just how remarkable an experience comics could convey to readers, and that makes it a classic rather than a stepping-stone. We may well find, in examining Gaiman’s early works, that this commitment to the individual project at hand produces a similar effect on the reader. New readers will encounter these early works with surprise at their virtuosity and appeal, and returning readers may find that their original enthusiasm for the works only proves more justified in hindsight. Also, be sure to check out Seth Kushner‘s website! As I was reading this article, there was something that really stuck out at me with regards to “A Vegetable Theology,” and I thought I had heard about it somewhere. Then I remembered reading Neil Gaiman’s “Shaggy God Story” and Jason Woodrue–the Floronic Man–talking about his idea of how Nature and the elemental powers actually functioned. Your mention of him in the second article of yours is what reminded me of the link. Also, thank you for mentioning it: as I did not know about it and I actually passed by Prince of Stories in my own research with regards to Neil, Alan Moore, and Herodotus. Black Orchid was not my focus then, but I had read prior to my research and it really left a powerful impression on me for a lot of the above reasons that you mention. I am definitely going to find a copy and read these “Notes of a Vegetable Theology” for myself. I’m going to post another comment on your next article as well.